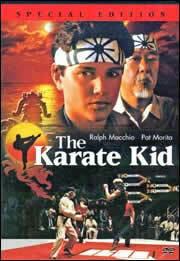 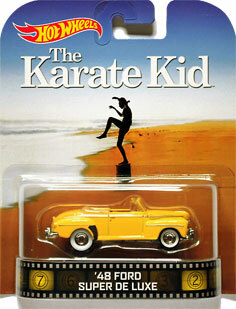 Karate Kid movie $15.00 - click on Buy Now button above. 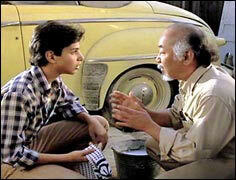 Ralph Macchio and Pat Morita star in a scene from the Karate KId. 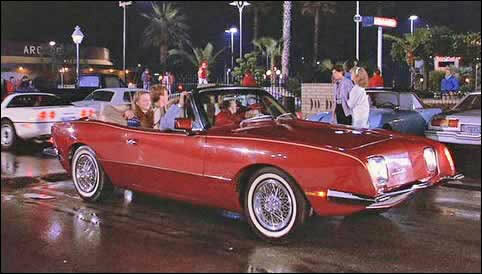 Red 1984 Avanti convertible built for Stephen Blake by Richard Straman in a night scene from The Karate Kid. 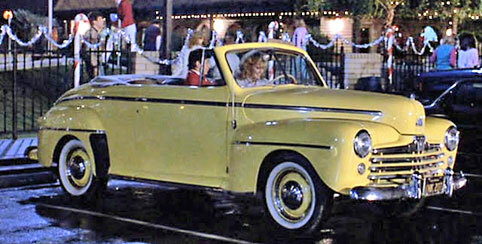 Ali driving the 1948 Ford Super De Luxe convertible. 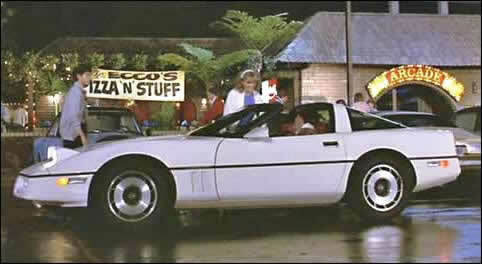 1984 Chevrolet Corvette from the same scene.